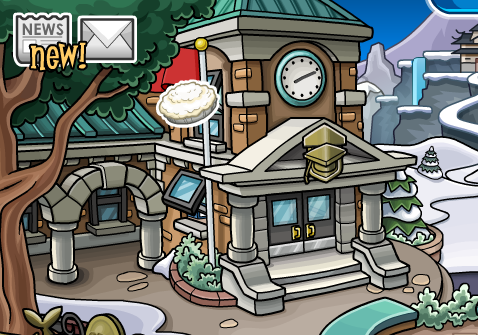 Club Penguin has released a new pin on the snow covered island. This marks the ninth pin for the year 2014! The latest pin can be found at the Mine. It is called the Cream Pie Pin. Below is a small guide showing you where the latest pin is located if you are still having trouble finding it. 1. Log onto Club Penguin and pick a server. 2. Open your map and click on the Mine. 3. Click on the Cream Pie pin that's on top of the school. 4. Congratulations you have found the Cream Pie pin! You may place it on your player card if you wish. What do you think about the Cream Pie pin? I really like it because I love pie! Share your comments below.